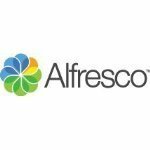 Alfresco is the leading open source alternative for enterprise content management (ECM) with over 2500 Enterprise customers around the world and over 7 million end users that use Alfresco to collaborate and share Content across their organisations. Alfresco now provides a simple Cloud service and mobile apps so users can collaborate with content across the firewall with other organisations and on the move using their mobile devices. Sold by Alfresco Software, Ltd.